Anyone who is considering starting their own business needs to get as much knowledge as possible about business ownership. Getting a Master of Business Administration in Entrepreneurship caters to the unique needs that those who run and manage their own business often have. This type of degree is a combination of traditional MBA coursework with specialized entrepreneurial courses that evaluate everything from starting a business, managing the finances and handling marketing challenges, and other insightful bits of information that may apply to business ownership. What Is an Entrepreneurship MBA? This type of program is specifically created for students who expect to establish or manage a business presence on their own. Its curriculum can also be of great benefit to those who may have their own family businesses or have concept for a new entrepreneurial opportunities. Students who enroll in this type of study will be able to hone in their analytical skills and to develop effective business strategies. In addition, students can fully expect to gain a global perspective of business matters, business ethics, corporate social responsibility and problem solving skills. To enroll in an Entrepreneurship MBA a student needs to have at least completed a bachelors’ degree from an accredited college or university. They may also be expected to pass several tests that will prove their readiness to enter this type of program. These tests could be the basic GMAT or GRE and will require the student to pass a score threshold before they can be admitted to the program. Schools may also require letters of recommendation and some prior work experience to ensure that they are ready and fully capable to take on the requirements of this type of course. MBA programs can be very challenging and expensive, and these programs often require a full-time study to complete the program in a reasonable amount of time. The area of study will largely concentrate on the core subjects such as accounting, finance, data analysis, marketing, and information systems. In addition to the core studies, you’ll likely also have to study small business management as well. Most likely you’ll be expected to complete the course by submitting a project that will include a consultation with an actual business or by developing some sort of business plan. There are no specific requirements that may be expected as a prerequisite for continuing education in this area, but there is the option of reaching out for a PhD in Business Administration. Under the Doctoral program, students will participate in an even more in-depth curriculum that will include topics like strategic leadership, problem-solving and critical-thinking. These will provide the student with the necessary skills to reach out for teaching and research positions at a number of colleges and universities. After completing the course of study, many choose to join a business organization for entrepreneurs so that they can develop the needed practice and skills required to start a new business. At your chosen school there may be a business club or organization where you can work alongside others with entrepreneurial goals engaging in networking events, guest speaking, and leadership opportunities. You may also join business groups in order to build up your experience in actual networking activities, and discussion groups with those who have hands on experience in starting a new business. According to the US Bureau of Labor Statistics, growth in these types of management positions could vary depending on your selection. Human Resources, for example, is expected to see a 13% growth before the year 2020 while financial management careers may only see 9% in the same time period. The anticipated salary will also vary depending on the career you choose with human resource managers earning around $99,720 a year and financial managers earning somewhere in the vicinity of $109,740. For those who launch their own businesses, the income will depend largely on the success of their own personal venture. Post University – The online MBA degree with no GMAT in entrepreneurship will focus on some of the most challenging aspects of becoming an entrepreneur, and will provide an excellent foundation for study and application the future. For example, you will learn all of the major principles involved in running a successful small business, including creating strong marketing plans and effectively managing finances. You will discover how to think outside the box and tap into your deepest wells of creativity, innovation and skills in leadership. Kaplan University – In this fully accredited, no GMAT MBA program, you will learn all of the essentials in starting and building a successful business. You will find that this MBA program with a specialization in entrepreneurship is not only useful for professionals who want to grow their own company. It also is appropriate for those who work in large companies and want to learn how to innovate and to drive business in new directions. You will learn how to create a business plan that will attract leadership and financial support of both internal/external stakeholders that are essential to building a strong company. 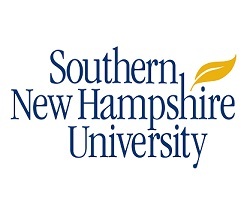 Southern New Hampshire University – This online MBA with no GMAT gives you an introductory examination into how to both analyze and research new business ventures, along with a good foundation that has the most up to date business strategies. Take core courses in strategic management, information technology and quantitative analysis. Ashford University – Are you ready to try a new venture in the business world? An entrepreneur, to be successful, must assume all of the responsibilities that are inherent in any new endeavor. With an MBA with a specialization in entrepreneurship, you will have the tools that you must have to best manage risks, while dealing effectively with business’ biggest possible challenges. You will be able to launch new businesses, or take on a leadership role in a new business. Walden University – In this online, no GMAT MBA program, you can gain the chance to have hands on experience with the starting of a new business. Or, you can learn how to take effectively leadership actions of an existing business enterprise and make it much more successful. This program will require you to take classes in leading people, managing and leading, business operation, marketing, innovation and technology, financial management, business strategy and more. Northcentral University – The entrepreneurship specialization with this Master of Business Administration program integrates all of the most important business disciplines – finance, marketing, operations, and strategy. These courses in this no GMAT online program will help you to better develop the skills in building a business, how to invest in a business, come up with capital, and evaluate the strength of a business opportunity. Capella University – You will learn how to develop the most important business competencies that you will need to start, build or advise many types of entrepreneurial adventures. Classes that you will take in this online, no GMAT program include financial accounting, global marketing, operations management, data analysis, and many other important disciplines that you need to achieve the highest degree of business success. This curriculum also will look at both the advantages and disadvantages of many types of business structures. Regent University – This MBA is specially designed for professionals who want to operate effectively in a global environment. This entrepreneurial program is solidly grounded in traditional business theory, as well as modern, and up to date concepts based upon the latest technology. 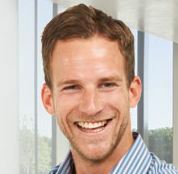 You can earn an online MBA either in entrepreneurship, or in franchising. Northeastern University – Here you can earn your online MBA in innovation and entrepreneurship, where you will cover many business topics, including debt financing, small business management, entrepreneurial finance for high tech firms, new product development and new venture creation. You will learn how to really appreciate market research, boost your marketing skills, explore all the stages of project development, and appreciate the effect of new products on many business functions. Marylhurst University – Earn your MBA in Sustainable Business and you will be fluent in all of the fundamentals of entrepreneurial business. This curriculum will allow you to really grasp the complex interrelationships in the functional disciplines. You will be ready to take a leading role in entrepreneurial organizations, and also at corporations and nonprofits. Marylhurt is featured in the 50 affordable online MBA programs for 2017. Suffolk University – This online MBA Entrepreneurship program will help you to become a highly successful business owner in all types of private companies. This accredited degree also is useful for those who work for corporations who value employees with entrepreneurial training at the graduate level. Courses that you will take here include Business Startups, Corporate Entrepreneurship, Social Entrepreneurship, Writing the Business Plan, E-Project Practicum, Green and Sustainable Business and Small Business Problem Solving. Oklahoma State University – This university offers an excellent, accredited program in entrepreneurship that results in an MBA degree. You will learn everything that you need to know about entrepreneurial management and how to best bring an innovative entrepreneurial perspective to the challenges that confront you in your business. You will take courses in Venture Management, Advanced Topics in Entrepreneurship, Corporate Entrepreneurship, Venture Capital, and New Product Development. Pace University – An MBA in Entrepreneurship provides you with the analytical, strategic and quantitative skills that you really need to find new products and services and bring them to the markets that need them the most. After you graduate with this no GMAT degree, you will have a better idea of how to quantify risk, how to manage a small business and find opportunities to expand.